Greetings and welcome back! Summer is winding down as Labor Day weekend approaches, and we get ready for the seasons to start changing again. Here’s a quick recap on what you may have missed. On Monday August 21st the solar eclipse covered nearly 70% of the sun in Lake Arrowhead. The eclipse peaked around 10:20 am, and was resolved by noon. While there was still enough daylight to keep up with regular activities, the landscape was noticeably dimmed. Labor Day weekend will be the last week of The Summer Concert Series. Lake Arrowhead Village was very lively and eventful this summer, and will be capped by a band every night of the holiday weekend. Starting with “4NR” (Foreigner Tribute) on September 1st, “Fan Halen” (tribute to Van Halen) on Sept 2nd, “Cubensis” (Grateful Dead Tribute) on Sept 3rd, and “Turn the Page” (Tribute to Bob Seger) on Sept 4th. There will be more events to come in the months of Fall, including the farmers market and The Lake Arrowhead Oktoberfest, which starts Saturday, September 16th and ends October 29th. Featured Listing: A Hamiltair Vintage Lakefront. A rare Paul Williams design built in 1940. Set on approximately 140 feet of shoreline on the leeward side of the peninsula. An amazing location features an historic jewel that only a few have had the privilege to own. Authentic and pristine in presentation, this home features 5 bedrooms (one on main), a spectacular great room, family and dining rooms all exemplifying the intimate details of an era gone by. An abundance of outdoor living spaces offers immense privacy in a world of its very own. Also included in this unique lakefront are a double dock, over-sized patio area (once a paddle court), cabana, built in BBQ all at the lake’s edge. An extraordinary 140 feet of exclusive lake frontage featuring sweeping, wide-angle lake views. A once in a lifetime opportunity! Price Reduction: Now $1,297,000 – 28008 Peninsula Dr.
Greetings and welcome to the blog! Lake Arrowhead is commonly referred to as ‘”The Alps of Southern California.” This resort community has much to offer the locals and the visitors. Whether you are coming up for the weekend, or are a part time or full time resident; there are many activities for you, your family, and friends. There are a host of musical events, winter sports, outdoor recreation, community gatherings, and performing arts. There is always something for everyone! Here are 5 things you can do in Lake Arrowhead. Since it’s reopening, Sky Park has been a main attraction for both locals and visitors, and is the home of the 2017 Blue Jay Jazz Festival. There are many attractions including, an outdoor bike park, roller skating, archery, rock wall climbing, and much more! Santa’s Village also has live music each week, as well as a selection of restaurants and eateries. If you are planning a trip to the mountains during the holiday months, this is a great spot to bring the kids for a chance to see Santa and his reindeer! Another venue that has re-opened in recent years is The Tudor House. Allegedly owned by the infamous gangster Bugsy Siegel in the 1920’s, the venue was once a saloon, speakeasy and rumored hideout for the well-known mobster. 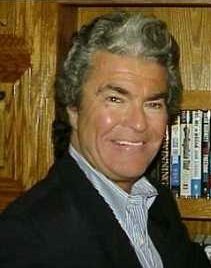 Many celebrities have visited the establishment over the years, such as Shirley Temple, Michael Jackson, and many others. The new management has completely renovated the building and it is now a location for weddings, corporate events, live music, and the performing arts. Every weekend night during the summer, a different band plays on the Center Stage. Many are tributes to famous bands such as The Rolling Stones, The Doors, and Pink Floyd. Each band impersonates their real life counterpart with uncanny precision. When asked about a recent performing group “Led Zepagain” (Tribute to Led Zeppelin) many have said that it was like being at a real Led Zeppelin concert! The music groups play all the classic hits you have heard on the radio. There is also a beer garden that opens an hour before the show. Bring your hat, lawn chair, and enjoy the tunes into the summer night. During the winter months the ski slopes are open to the public. The ski resorts have been a main attraction to both locals and visitors. Each resort caters to experienced skiers and snowboarders, as well as beginners. Olympic gold medalist snowboarder, Shaun White is said to have grown up in the mountain communities and still frequents these ski slopes. How could we make a list of things to do without including fun at the lake? This is the location that draws crowds from all over the world to see Lake Arrowhead! Disclaimer: The lake is private, and only home owners within a mile of the lake’s perimeter can have access. 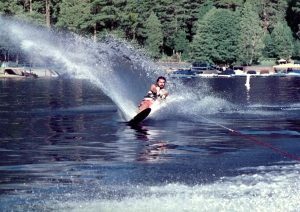 Even with this stipulation, there are activities open to the public, such as The Lake Arrowhead Queen Tour, and The McKenzie Water Ski School. Visit the Arrowhead Lake Association for more details. These are only a few of the many things one could do, as a resident or visitor to these beautiful mountains. Lake Arrowhead is a great destination for everyone to enjoy live music, outdoor recreation, and the arts, such as The Lake Arrowhead Classical Ballet Company’s “The Nutcracker” in its 26th season. The charming town and friendly locals have made this community one of the premier locations in Southern California to own a second home. We hope this article was insightful; please feel free to leave questions or comments.